We do love a good floral! So much so that we couldn’t help but get pretty excited about Anna and Ellie’s latest book launch. Not your average florists, the two pals make up the brilliant Flower Appreciation Society where they share their love for all things beautiful blooms related. Jumping on the floral bandwagon (of course! 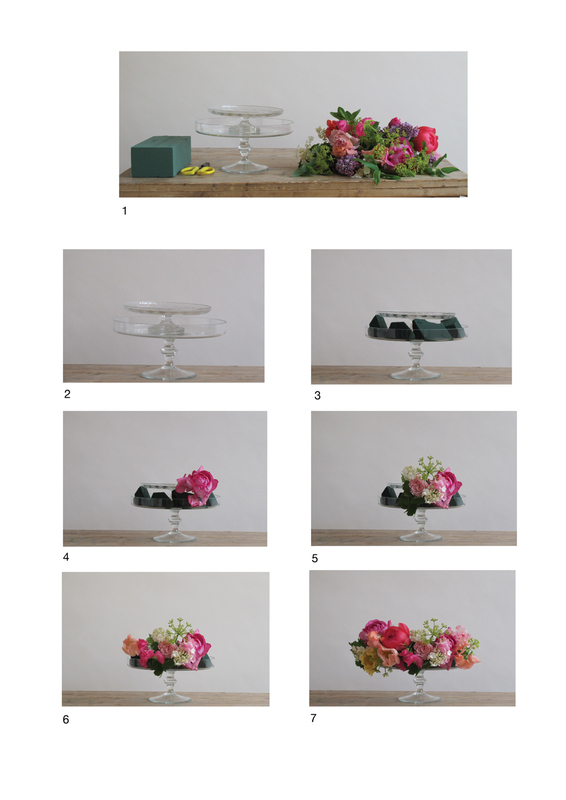 ), we just had to ask Anna and Ellie to show us how to arrange flowers in a traditional and a not so traditional way for the Laura Ashley blog, and, as we know you’re all such floral fans too, we’ve got three copies of their new book to giveaway! 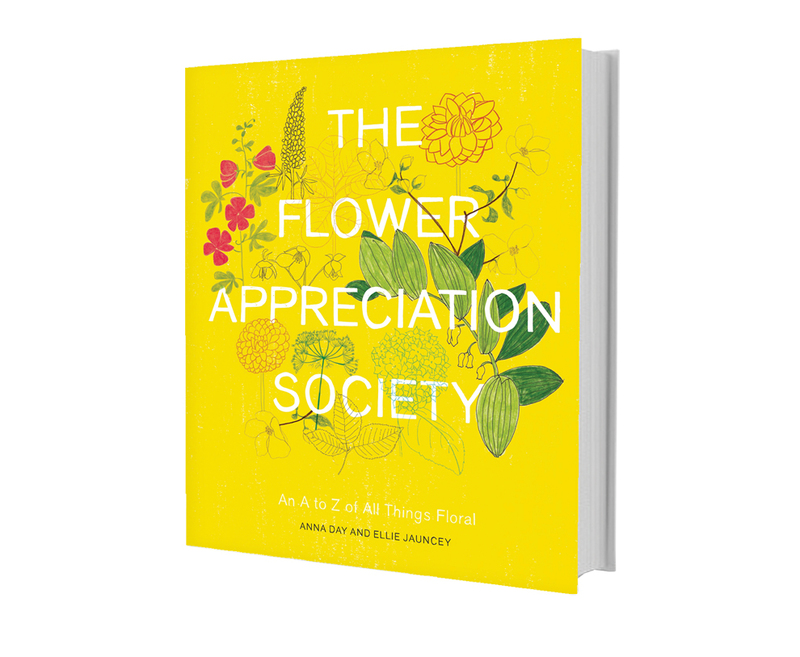 In their first book, they take readers on incredible, meandering journey through an A to Z of blooms ‑ from Anemones to Zinnias and everything in between. If you’re a bride‑to‑be doing your own wedding flowers or have ever wondered why your tulips just won’t stand up straight, The Flower Appreciation Society has all the tips, tricks and wonderfully creative ideas you could ask for. 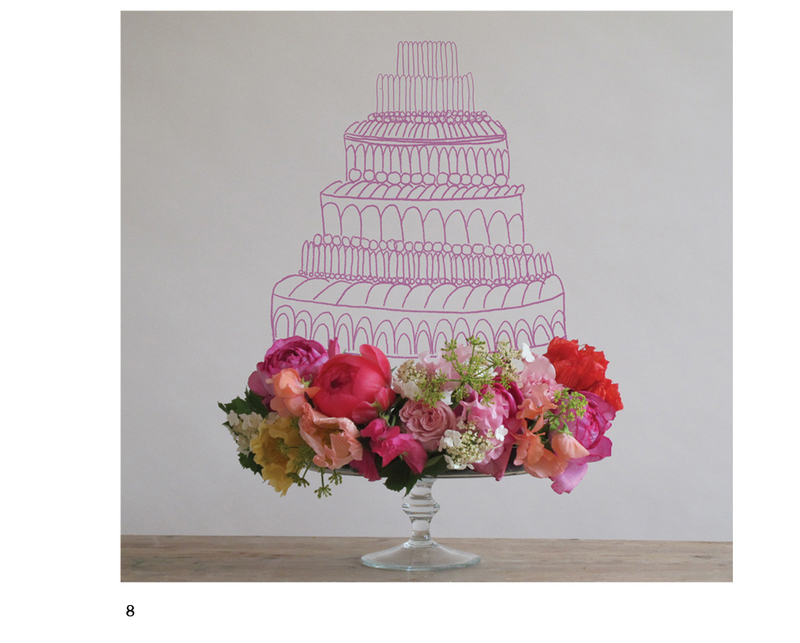 Try this unique way of arranging your flowers is perfect for adding to a birthday cake to wow your guests! 3. Cut chunks of soaked floristry foam to fit the gap between the two stands and wedge them in. 5,6,7. Stick your flowers and foliage into the foam to build a wonderful floral covering. Keep adding until the floristry foam cannot be seen anymore. 8. Then simply place your cake on the top stand. 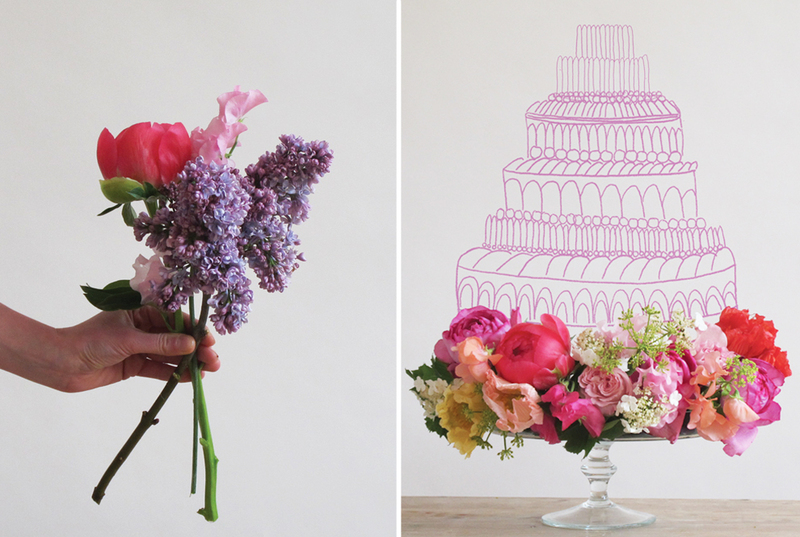 Not only will your flowers stay fresh all day but they won’t get in the way of cutting the cake! Arrange flowers like a pro in one of our pretty vases, ideal for putting in your hallway. 2. Strip all the leaves and thorns that might sit below the water level. Lay your flowers out in neat groups so you can see what you have got to work with. 4. Now choose a different colour and shape flower and place on top of the first at a slight diagonal angle. Keep your hand relaxed as you gather the flowers, holding them gently- this will prevent them from getting bruised and will allow you to reposition the flowers, pulling them up higher or down lower if needs be. 5. Continue adding the flowers at a slight diagonal in a varied order. Try to avoid two of the same flowers sitting too close together. Each time you add a few stems turn the bunch using your free hand so that you are conscious of what is happening at every angle. Keep all stems facing the same direction so the stems support eachother. As they are added, the twist will become obvious. 6. Stop when you are happy with the shape and size of your arrangement, bearing in mind the size of the vase. 7. 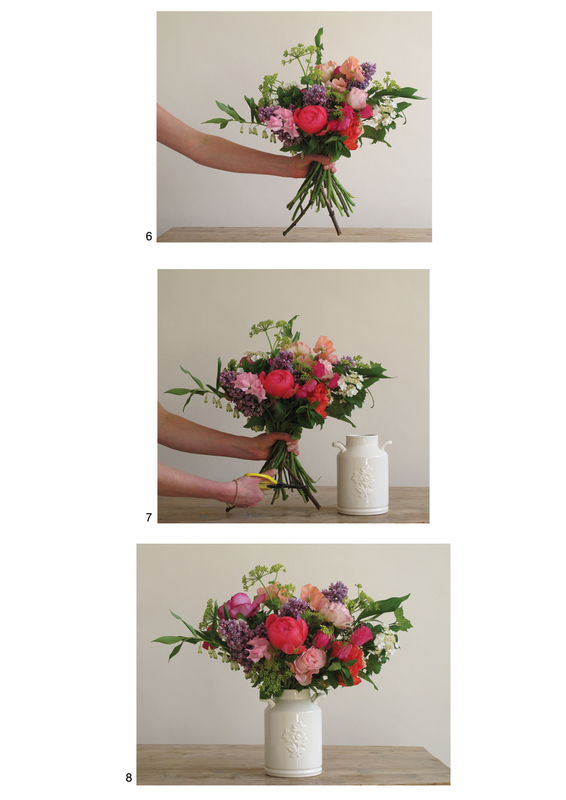 Hold the flowers in front of the vessel so you can measure how much of the stems to cut off. It is always better to be on the safe side and cut your stems a little longer than they need to be, so you have the option to make them shorter. 8. Place the arrangement into the vase, letting the flowers fall naturally. You can now fiddle with the shape, adding or removing flowers as you see fit. 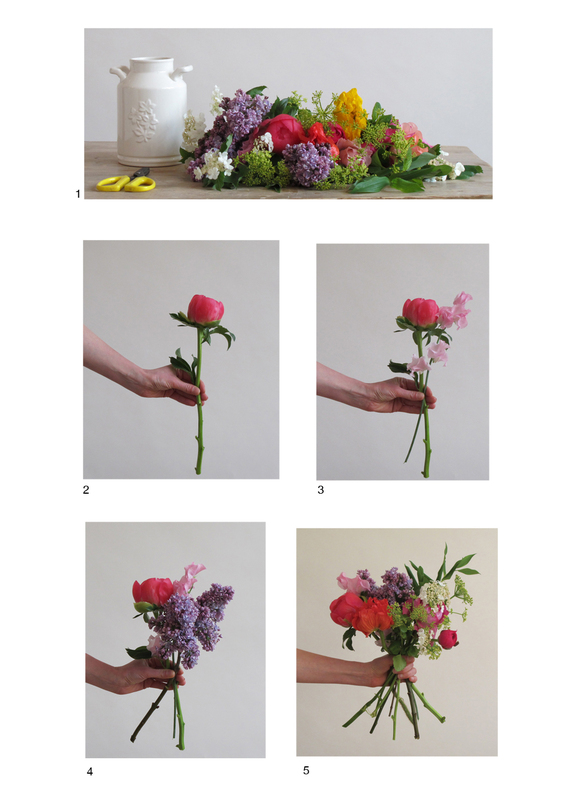 Thanks so much to Ellie and Anna for showing us how to arrange flowers like a pro! Fancy having a go? Browse our latest vases to pop your beautiful blooms in. Want to get hold of their latest book? (We know we do! ), hop on over to Twitter, make sure you’re following us and RT the below to win. We’ve got three copies to giveaway!